Git for professional teams. Used by more than one million software teams and 6 million developers. Cloud – Hosted by Atlassian. 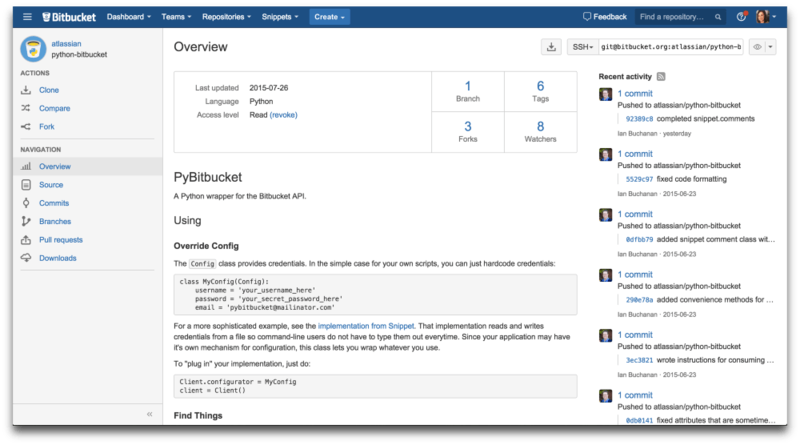 Bitbucket Cloud is free for small teams of 5. Plan, track and release world-class software.